It's a new year, time to clean out old files, get the office organized! As you and your co-workers clean up, does this look familiar?? We've seen it far too many times..and know exactly what to do! 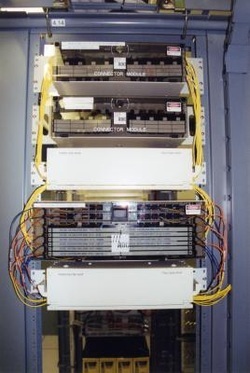 ABC will install a server rack and labeled patch panel to clean up and organize your telephone room nightmare. You will have more functional access to your communications equipment and network server. Your telephone room fears will be gone!